CNN's Jeffrey Lord just issued a Nazi victory salute. Really. 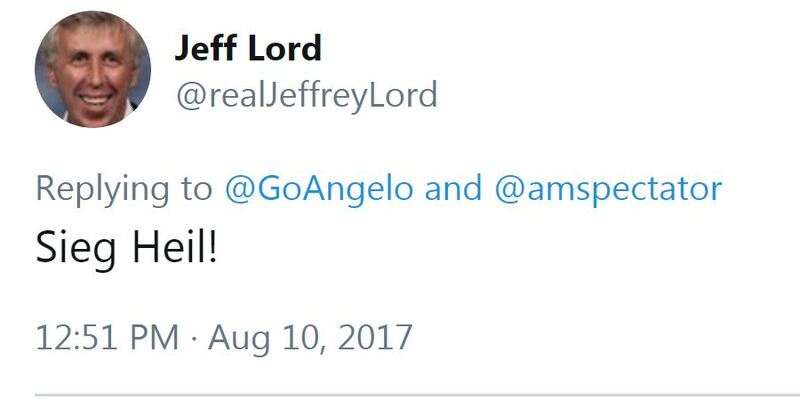 Update: CNN fired Lord, calling his comments "indefensible"
CNN contributor Jeffrey Lord tweeted the Nazi victory salute. 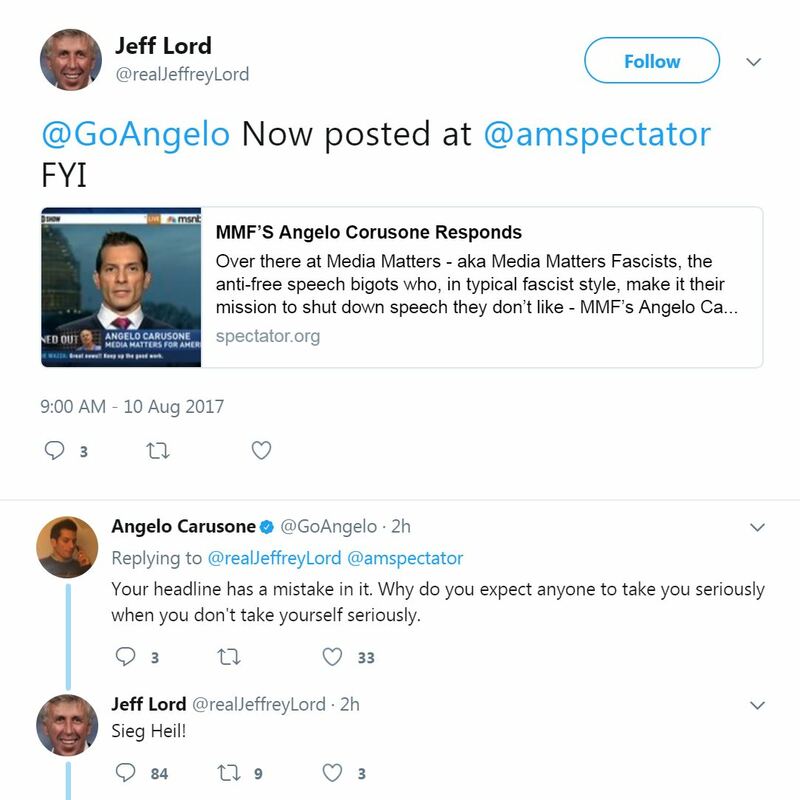 After receiving initial blowback on Twitter, Lord explained his confusing issuance of the Nazi victory salute by implying that it was a joke or that it was meant to further highlight Carusone and Media Matters’ "fascist" agenda. Lord is a shill for President Donald Trump who has supported the president’s sexist and dangerous behavior. Lord has a history of making bigoted and ridiculous commentary and has pushed false claims to defend Trump. UPDATE 2: Lord has been fired by CNN. A network spokesperson told Brian Stelter, "Nazi salutes are indefensible."